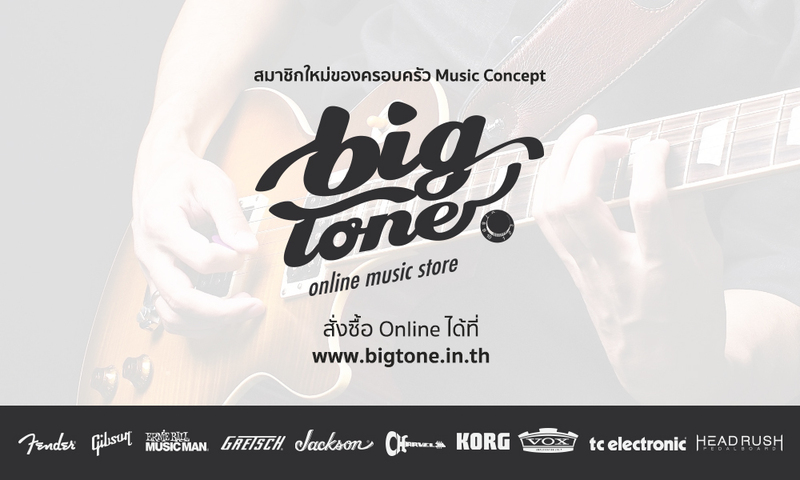 In 2014 Fender celebrates the Diamond Jubilee of the Stratocaster, marking 60 years since its release. This 60th Anniversary Strat is certainly appropriately ‘bling’ for celebrating six decades of the iconic design, thanks to its stunning Aztec Gold gloss finish and Gold hardware. In all other respects this is classic Strat territory through and through, with its alder body and maple neck finished in gloss polyester for a smooth but shiny appearance. 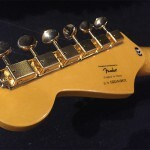 Fender has opted for a ‘modern C’ shaped neck profile, 9.5” radius maple fretboard with 21 medium jumbo frets, three custom vintage-style single-coil Stratocaster pickups with five-way switching, three-ply parchment pick-guard, vintage-style synchronised tremolo bridge with six saddles, and vintage-style tuners, producing a package that combines vintage sensibilities with modern playability and genuine visual impact without being over the top. Although gold isn’t to everyone’s taste, this is certainly a great looking guitar that should appeal to a wide range of players without being so over the top that the average player will be put off. 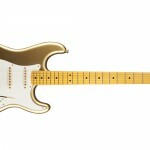 The only design issue is that the gold hardware will gradually fade over time as the plating wears, diminishing the look of the guitar, however, this is an issue with all gold hardware and not unique to this guitar. 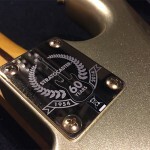 The guitar features a few unique elements that should attract the collectors too, such as a laser-engraved “1954-2014 60 Years” Anniversary neck-plate, aged plastic pickup covers and controls and vintage-style strap buttons. This is definitely a unique and interesting guitar that makes an impact that transcends its budget minded Squier label. 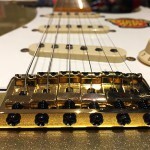 This entry was posted in Electric, Guitar, Guitar Electric Squier. Bookmark the permalink.